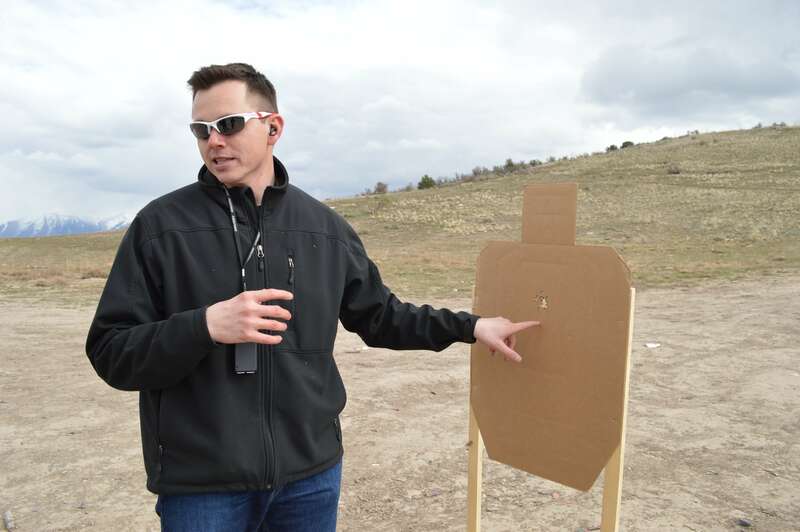 Practical Handgun - PARA Utah Shooting instruction. I have been asked “what is the difference between your pistol classes and all the others?” My answer is that PARA is about hard tangible skill building, not about tactics or mindset. We build a foundation of skill, then add the two later. In today’s pistol classes there is a tendency to train to a easier standard of accuracy saying “it’s good enough for that speed” or “that is combat accurate.” This is mainly due to instructors trying to get a lot of subject matter covered in a day and for most classes it is enough for what they want you to accomplish in that class. That kind of training still leaves hard dependable accuracy being neglected. Solid accurate hits should be one of the training industry’s highest standards but it is not. I hold myself to a high standard of accuracy and I will teach and hold my students in class to the same high standard. Training in fundamentals sounds slow and boring but it is the opposite of that. Hitting targets at range or of a small perceptive size feels amazing, while hitting them at a fast pace makes you feel unstoppable. I want my students to be able to push the mechanical accuracy of their weapons, to feel confident in their ability to make timely and devastatingly accurate hits. Reload and move with smooth motions and manipulate the weapon like a professional. This smoothness comes from not only teaching how to perform but also how to practice it via live and dry fire. I hear a lot of the balance between speed and accuracy in classes, from articles and other shooters, I have no problem with this term but I prefer “accuracy at speed.” You either hit a target or not. Did I hit where I intended to? Why did my bullet impact there? Why was this motion so slow when we review it? How can I go faster? These are the question that I will answer.I will not pass on them and tell you it was good enough. This is the attitude of PARA and what sets us apart.